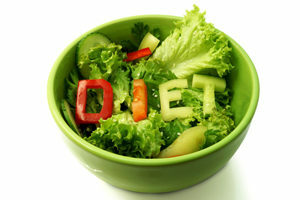 Most vegetarian diets (i.e. vegan) provide less protein than non-vegetarian diets, but still meet or exceed dietary recommendations for protein (given that a variety of foods are consumed and energy intakes are sufficient). Vegan athletes generally consume lower quality protein. This is due to the lower concentrations of essential amino acids in plant-based proteins when compared to animal proteins. As a result, vegan athletes may need to increase protein needs by about 10% and elite athletes may need to supplement with protein powders. Lacto-ovo vegetarians, however, generally consume enough good quality protein from dairy and egg sources. * g/kg of BW (Body Weight) = grams per kilogram of body weight. Example: A 130 lbs female strength vegan athlete who regularly engages in high intensity strength and power training, should consume approximately 1.8 g/kg of BW of protein per day. This would be 106 g of protein per day. 130 lbs/ 2.2 = 59 kg à 59 kg * 1.8 = 106 g of protein per day. Tipton K.D. & Witard O.C. (2007). Protein requirements and recommendations for athletes: Relevance of ivory tower arguments for practical recommendations. Clin Sports Med., 26, 17-36. Otten J.J., Hellwig J.P., & Meyers L.D., editors. (2006). The dietary reference intakes: the essential guide to nutrient requirements. Washington, DC: Institute of Medicine, National Academies Press. Institute of Medicine, Food and Nutrition Board. (2005). Dietary Reference intakes for Energy, Carbohydrate, Fiber, Fat, Fatty Acids, Cholesterol, Protein, and Amino Acids. Washington, DC: National Academies Press.